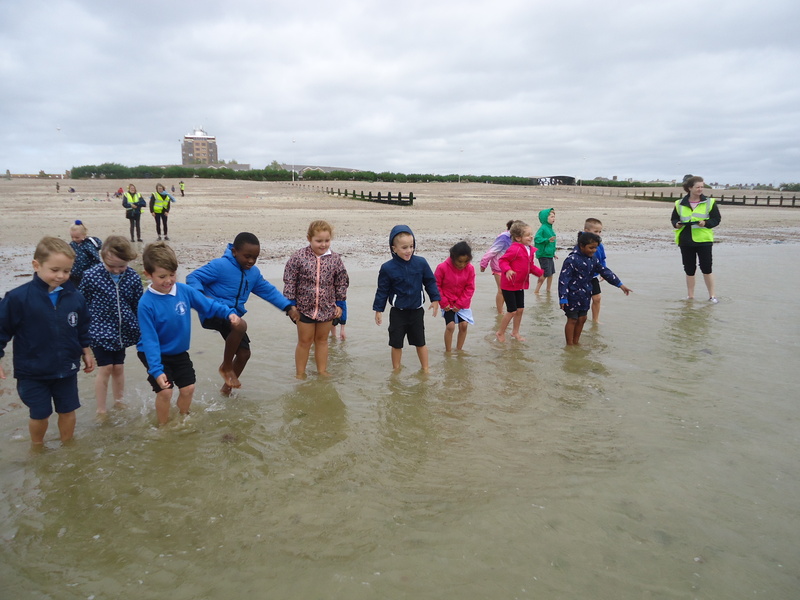 On Tuesday 18th September 2018 Year 2 visited Littlehampton for the day. 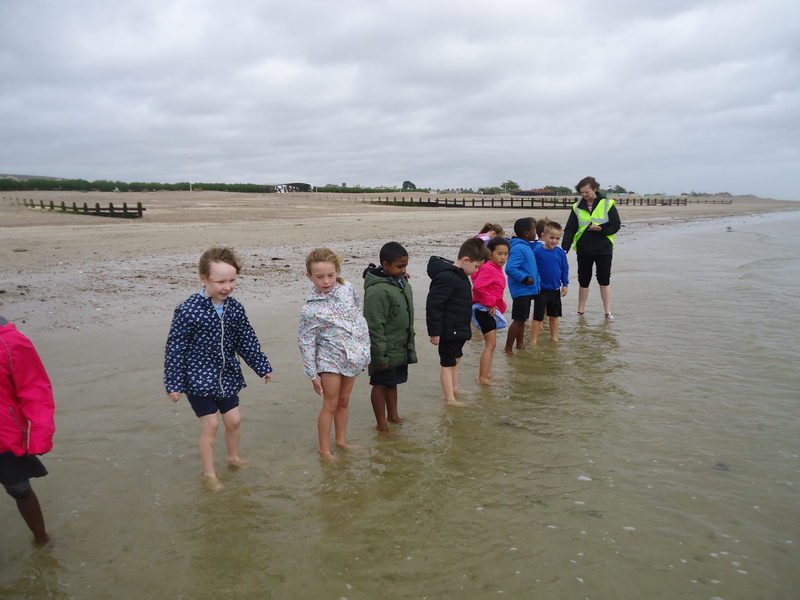 The children arrived at 8:45am and went straight into their classrooms where they got ready for their journey to Littlehampton. 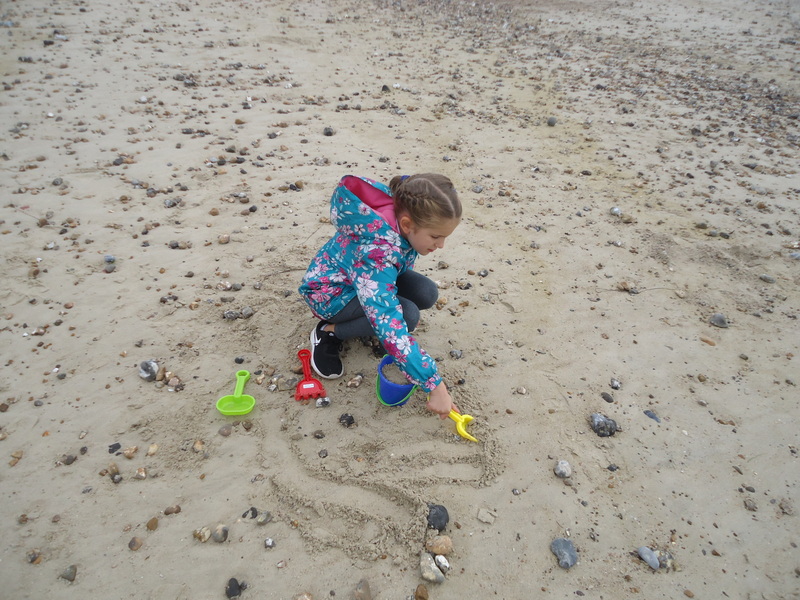 All children were excited and enthusiastic about the day and came prepared with their lunch, water bottle, sun hat, bucket and spade and weatherproof clothing (just in case). It took nearly 2 hours to get to the beach. 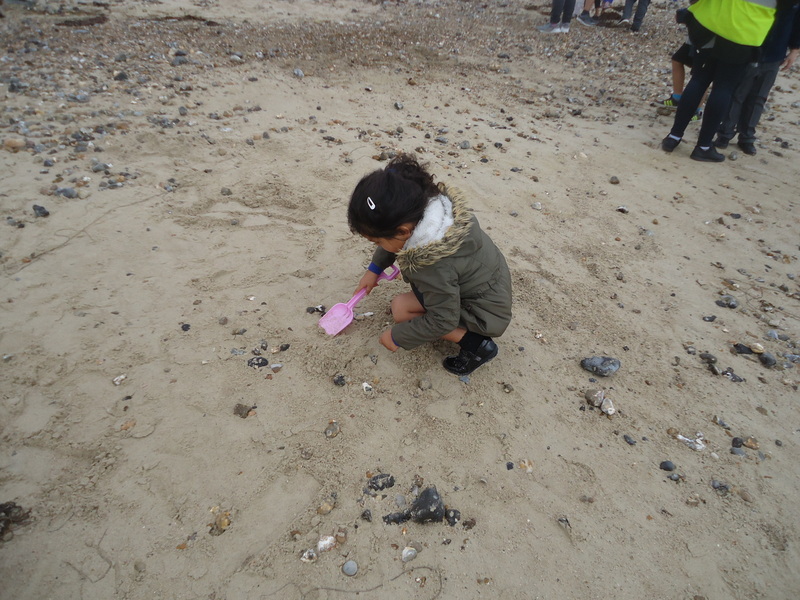 Upon arrival the children took in the sight of the sea and (what they didn’t expect) the sand! 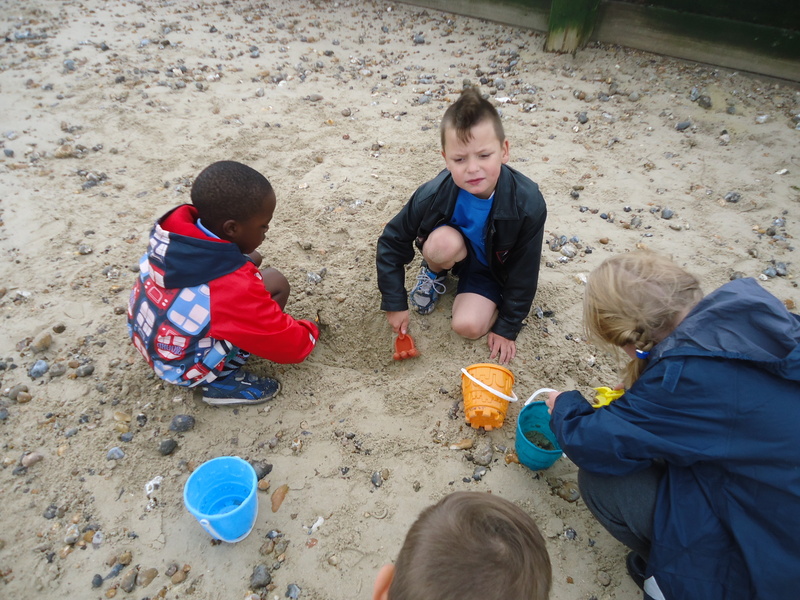 The children were excited to explore the beach and they got stuck in with their buckets and spades. 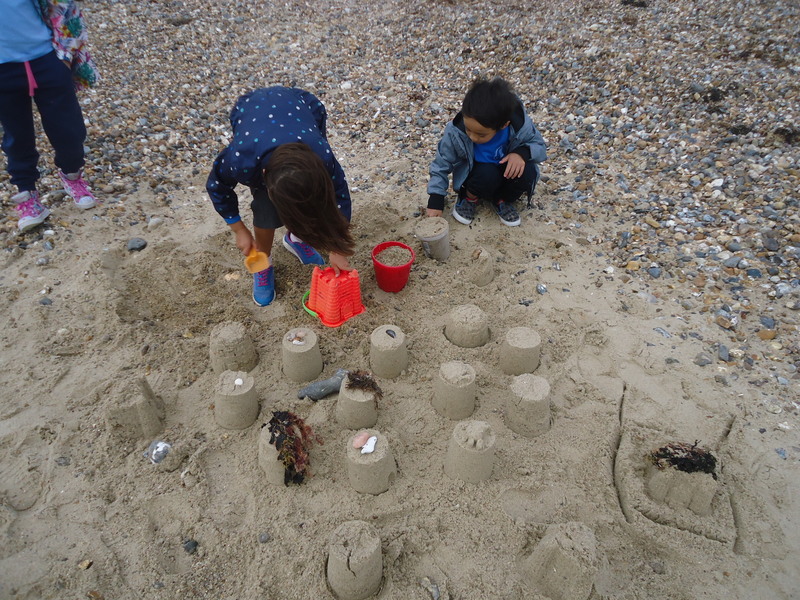 There were sandcastle popping up everywhere, sandcastle villages, writing with rocks, writing in the sand, shell hunts, seaweed hunts and so much more. 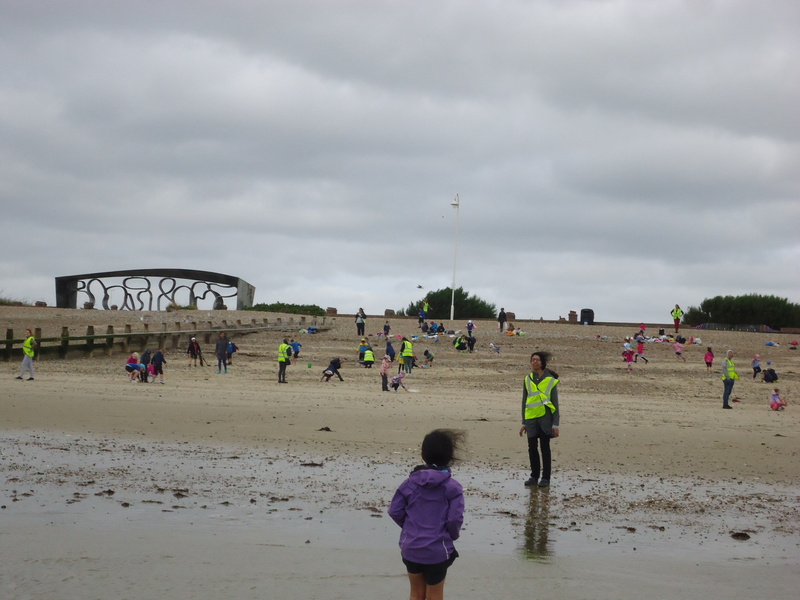 The children explored the breakwaters also. After the children had a good time exploring the sand, it was time for lunch. 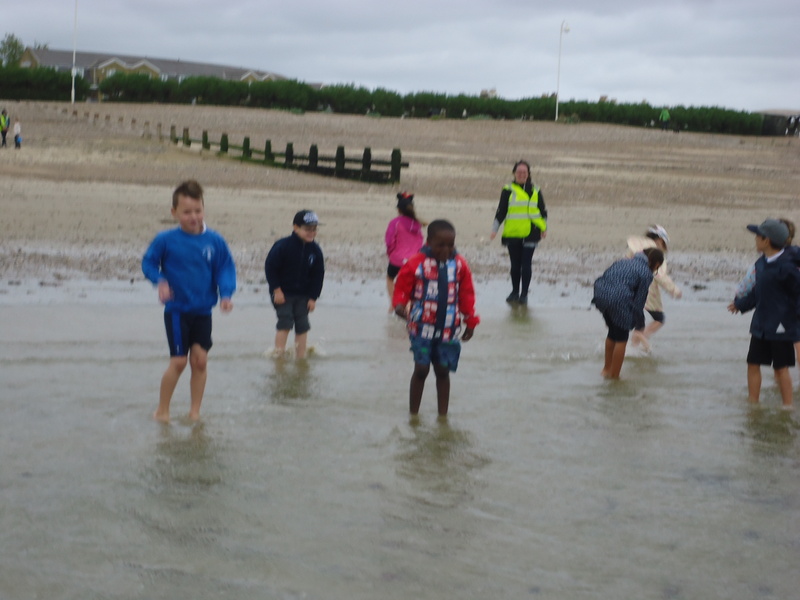 Lunch was eaten quickly and the children were ready to dip their feet in the water. The water wasn’t warm but it wasn’t too cold either so they were excited to wade in to a comfortable point just below their knees. They didn’t want to leave the water but time was running out. 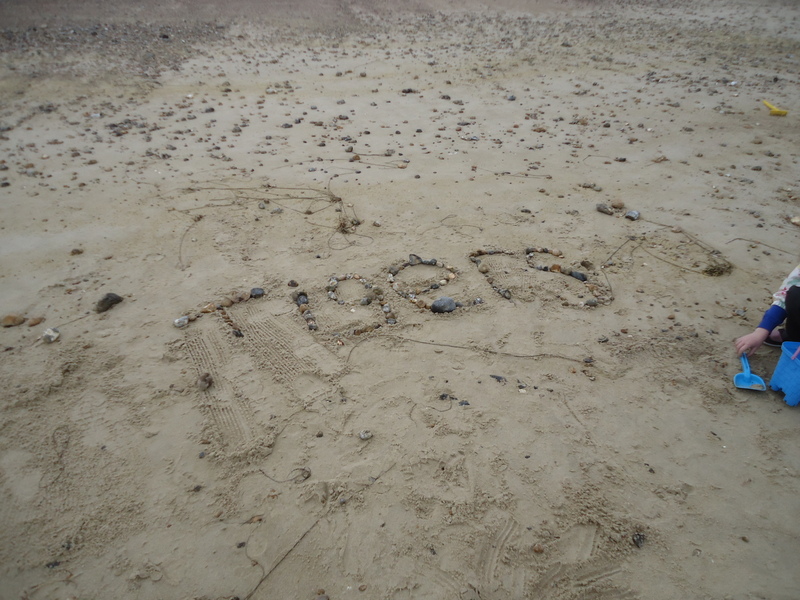 The children went back up the shore for a final dig in the sand. Then it was time to return to the coach for the journey back to school. The journey took much longer than expected due to extremely heavy traffic, meaning we arrived closer to 5pm, but the children and their families were fantastic. Everyone was patient and although tired were still enthusiastic to share the events of the day. The Year 2 team would like to thank all of those who volunteered to come on the trip and extend an even bigger thank you to all families for their patience whilst awaiting our arrival. We look forward to more trips throughout the school year.